Wells Fargo SBA Lending is a national, preferred SBA Lender with a particular focus on financing owner occupied real estate, business acquisitions and franchises. With over $1.7 billion of closed SBA loans in 2014, we are an experience lender with a dedicated team to provide a streamlined process from application to closing. Most appealing borrowers are Wells Fargo’s competitive loan terms with low down payments, long terms and fixed interest rates. We look forward to growing our market share in New England by working closely with small businesses and strategic partners. 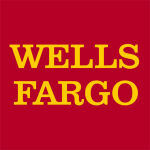 Comments on "Website Sponsor - Wells Fargo "